This guest post is from William Cowie, who has contributed to Get Rich Slowly and other personal finance blogs. He also blogs about investing and offers a free Investing Basics course on Bite the Bullet Investing. Everywhere you look, the story’s the same: the value of your house is going up. The National Association of Realtors reports that home prices for March were up about 12 percent from a year ago, a trend that’s been holding for more than a year now. Does it make you feel nice and rich? Or simply relieved that the end is in sight: your underwater home loan might soon break the surface and see sunlight for the first time in years? Or, if you don’t have a home and you want one, are you feeling a sense of panic, that your dream of owning your own place is slipping through your fingers? If you answered yes to any of those questions, you’re probably tempted to do something, because you might not have the chance again soon. Slow down, take a deep breath and fetch your trusty calculator. The chart above shows that home prices bottomed out sometime in 2011 and have begun their cyclical upswing. Will prices ever hit the peak of 2006-07? If so, when? It could take two years, it could take 20. The economy moves slowly, as do home prices, even though at times it feels like lightning. Regardless, I think it’s safe at this point to expect home prices to continue rising for the next year or two at least. As my neighbor Jim pointed out, moving is very expensive, and is guaranteed to set your net worth back by at least $30, 000 after you factor in things like new drapes, furniture, appliances and even garden tools. From a purely financial standpoint, then, the last option is the only smart one. There are, of course, other life reasons which might compel a move, it’s just important to remember that it’s very expensive. But, let’s say you’re interested in capitalizing on your newfound wealth by selling your current home and buying something nicer. Ever notice how, when you’re buying something more expensive, you don’t call it more expensive, but rather “something nicer”? But when you’re buying something cheaper, you never say “something less nice”? This isn’t a trivial observation; this is the part of the brain that overlooks hard financial data when we’re about to make a bad financial decision. We always tell ourselves the nice version of what we’re about to do. It’s called rationalizing. Rationalizing or not, you decided you want to get a nicer house, and you want to take advantage of the growing equity in the home you currently own. So, is it a good idea to wait till you get more equity in your own home before you trade up? If the price of your home is going up, so is the price of the place you have your eye on. That might seem like a pretty obvious observation, but you’d be surprised at how many people assume theirs is the only home price rising. As a general rule, the higher up you go in the housing food chain, the bigger the price swings measured in dollars: 10 percent of $900, 000 is $90, 000 and 10 percent of $200, 000 is only $20, 000. Both are 10 percent (as in “home prices are up 10 percent”) but the dollars are very different. 3. Your key number is the price difference. This means if you’re trading up, the key number for you is the price difference… in dollars. Sound obvious? Keep reading. Your key number is the difference in those home values: $50, 000… today. In the recession, your house was probably worth, let’s say, 20 percent less than today, $160, 000. The house you’re eyeing (let’s call it your dream house) also went for less in the recession. If your home was down 20 percent, that one would also have been down 20 percent. So, four years ago your dream house went for about $200, 000. At that time, then, the difference between your current house and your dream house was $40, 000, compared with $50, 000 today. Same two houses. Now, let’s say the economy starts going gangbusters and your current house appreciates even further. Your dream home will, too. Let’s say you decide to wait till you have more equity before trading up to your dream house, and let’s say at that point the prices are $300, 000 and $375, 000 for your current and dream houses, respectively. You can see math clearly: the difference to trade up would have gone up to $75, 000, from $50, 000 today and $40, 000 in the recession. A dollar is a dollar, and you have to repay it, with interest. You pay the fewest dollars for a trade up when you feel at your poorest, i.e., in the recession. And when you feel the richest is when you pay the most for the exact same trade. So, waiting till you have more equity with which to trade up is an illusion. It never gets better, only worse. The best time to trade up is as close to the bottom of the recession as you can. The longer you wait, the more you pay. Conversely, if you’re considering a trade down (empty nesters, for example) the best time for that is when home prices are at their highest. Of course, we never know exactly when “the highest” is, but you get the math. You might feel rich hearing the value of your house is going up. However, until you stop living in your current home, its price is really irrelevant, good for after-dinner conversation (in good times and bad) and not much else. The only number that matters is the price difference if you’re trading up or down. Finally, if you’re thinking you’ll never have the opportunity to buy your first home, be patient. I succumbed to that thought and stretched too hard to get a house, thinking that was my last chance. Huge mistake. Prices will come back down. They always do. Keep saving and wait. Stephen mentioned something extremely important that was forgotten in the article. 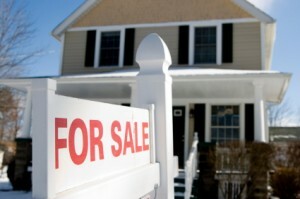 The low interest rates right now paired with relatively low housing prices makes it even more enticing for homebuyers. For example, a dream house could be 250k now at 3.5% borrowing rate. You could wait til the future for that dream home to drop to 200k, but if rates are at 6 or 8%, you’re not saving any money over the long term. Dee, that’s not a bad strategy at all. If you put that money aside, you’ll find more to add to it, and when the next recession rolls around (and it will) you’ll be in a great position to buy something at a terrific bargain. Patience while watching prices rise around you is one of warren Buffett’s great keys to success. He calls it the art of doing nothing. I have been searching for a home to buy for 2 years. In that time, I’ve seen housing prices rise to the point that I’m not even interested in buying anymore. I looked a set of new homes (newly constructed), then went back the next weekend and the prices were up by 8K – in one weekend!!! The rising prices coupled with rising taxes, homeowner’s insurance, HOA and maintenance fees, I’ve decided to move into a cheaper apartment complex and save $400/month that I can pay to MYSELF in cash rather than looking to take on debt as an “investment.” If I decide to buy, then I’ll have the money in the bank for a down payment and closing costs. It is so true. Thanks for the article, very timely for my situation. You didn’t factor in interest rates. 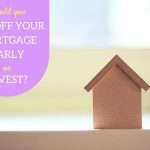 Purchasing now at historically low rates could lead to long term savings, unless of course home prices go down significantly in response to an increase in rates in the future. Also you could make an apples for apples trade and “move into” a lower rate or a shorter loan period which could also add to ones savings. I just purchased a second home in a resort community. Prices have bottomed out and the house was well undervalued by a seller that just wanted out. He purchased the home as an investment property and was apparently losing money. The home came with all appliances and I have already begun the process of buying some nice used furniture. I purchased the home with money I took out of the market…trying to sell high and buy low. I don’t think I can lose money on this deal for the price I paid and considering I now have a vacation home to use until I decide to move into it or sell it. P.S. I don’t buy new furniture, cars, or any of that crazy, expensive stuff. I consider it a waste of money. 30k to move? Good lord. I don’t know about you but it’s never occurred to me to buy all new furniture every time I move. If that’s what buying a house makes you do, I’ll keep renting. I think some sellers are pricing their homes unrealistically, however, and much of that has to do with the fact that they bought very high during the bubble. I’m seeing some things on the market that cost as much as other homes in the same area that are bigger, in better condition, etc. But housing prices don’t rise evenly. The cheapest houses rise the most, and the most expensive rise the least, as a percent of their total value. There was a minimum $100k bump to all prices across the board here, but that went as high as $170k on the cheapest houses. In my hometown, which mostly escaped the bubble, the bump was $30k on the cheapest houses and only about $15k on midpriced houses. You actually lost a lot more, in real dollars, buying a cheap house at the peak than a midpriced house. Don, closing costs were included in the $30K, which is a very rough number, including seller’s commission, closing costs, move, new furniture, new drapes, new everything. BG, you’re absolutely right, staying put is always the best strategy, financially. Property taxes are going to be the bane of your existence no matter what: in times of dropping prices, you have to appeal every year to have that reflected in their assessment. I bought my home in 2005, and it is appraising for 18% more now. This does affect me in that it translates directly into higher property taxes & higher insurance costs — even though I don’t plan on moving. Sure it also means I have more ‘equity’ in the house, but I don’t plan to borrow against that — I want my mortgage paid off, not to go into further debt. As the author points out, you want to trade-up at the bottom of a recession, and trade-down when home prices are at their highest — good luck predicting either of those situations though. Best way to become wealthy is to stay-put in a modest house forever. You didn’t mention closing costs (maybe that’s part of your $30k?). Also you have an assumption that home prices are changing at the same rate for all price ranges. It’s possible that homes in the $150-250 range are in high demand whereas homes in $300+ are not growing as quickly.